Let’s face it, we spend a lot of time at work. One of the most important things we can do as leaders is create an environment where everyone feels connected in a meaningful way. It is generally accepted that happy employees are more productive and tend to stay in their positions longer. Connected employees = happy employees. Working with the same group of people can become rhythmic – whether this is good or bad.. When we break out of our silos and add a fresh point of view from someone outside of our immediate team, we can breathe new life into solving a problem or reaching a common goal. For some, understanding our talents and strengths is second nature. For others, talents can be hidden or masked by an imbalance of skills. When employees are placed in unexpected scenarios, made to take on new roles, or try new things, they will often find a new skill they did not even know they had. According to a recent article from Forbes “the key to creating a powerful brand is claiming a piece of perceptual territory. 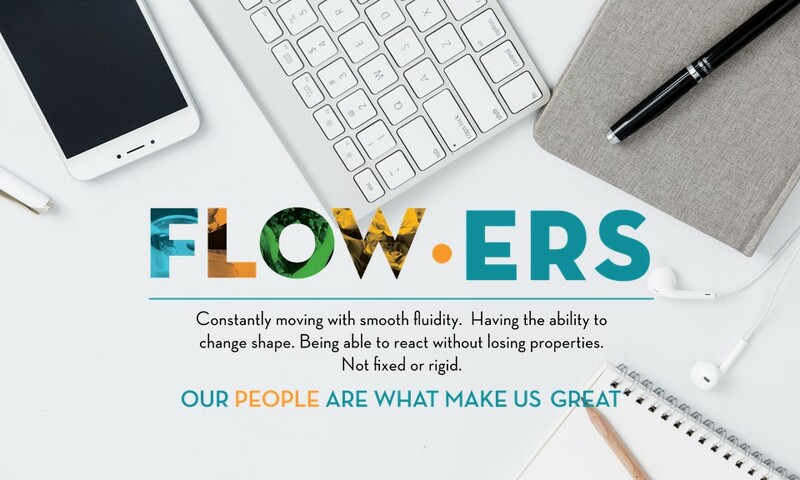 It’s about a promise you make to your customers that no one else is making…” Our brand promise – FLOW – is an integral part of our name and captures how we create and deliver value to our clients. 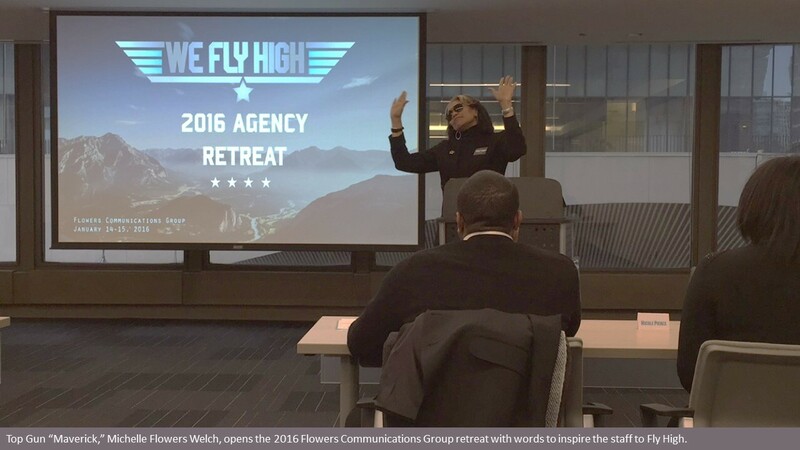 Interactive engagement is built into the retreat to reinforce to agency staff the importance of the intrinsic covenant that we have with each and every client. 1. Collaborate as a team with distinctive individualism. 2. Inspire others with our creative and innovative thinking. 3. Dedicate ourselves to outstanding client service. 4. Passionately focus on excellence and producing high quality work. 5. Foster a happy fun and familiar work environment. 6. Cultivate the next generation of communications pros. 7. Do the right thing! As we enter 2018, we invite you to stay tuned throughout the year to learn more about how we live our cultural truths and to see how we FLOW.